“Spring rarely conjures up thoughts of skiing, frosty mountain evenings and knit hats with ear flaps. 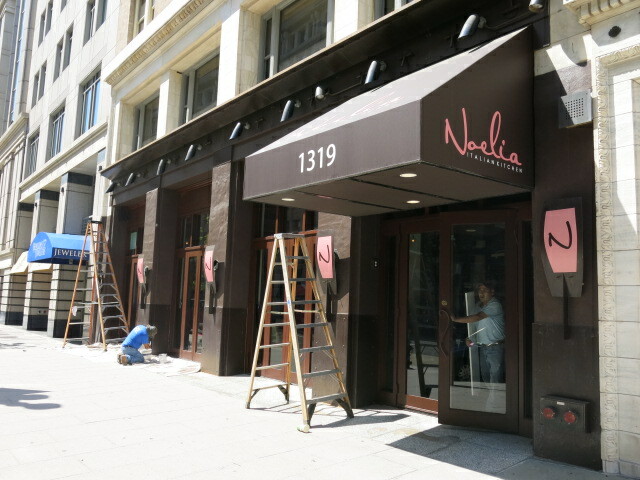 But at Noelia, a taste of Vermont’s frostiness cools down a warm evening. On May 13th, from 5-7 pm, the bar at Noelia tips it’s earmuffs to The Green Mountain State by offering a variety of craft Vermont beers paired with its Chicken & Waffle sandwich with Vermont Maple. Featured will be the wildly popular yet difficult to find Heady Topper, a pale India ale named #1 beer in the world by Beer Advocate. Also featured will be IPAs, Long Trail, Otter Creek, and Shed Vermont, all at a special price of $10. It’s not just the beer, but also the maple that make Vermont great. Noelia’s new chicken and waffle sandwich with Vermont maple pairs perfectly with the suds. This delectable fowl served between homemade waffles drizzled with maple syrup is available daily at the bar for $7 and is also a featured lunch menu item. Paired with the beer, the beer and sandwich combo will be available at $15 during this event.